Thank you Ellen for your Past Life reading. It shed light on a life that I always thought that I had and explains a lot of things to me. You are a gem. Thank you, Ellen, for the time that you have taken to put together this website and for the Past Life Profile. The information has been very helpful and provided me with further direction on my healing path. It has also helped to give me a clearer understanding of self and others. I have gained a degree of new found peace in my life as I have been practicing some of the exercises. I have shared this website with family and am looking forward to opportunities to share it with others. I also look forward to continuing to learn from your site as there is so much here to practice and absorb. Thank you again for your time, effort, and energy. I want to thank you for your informative website. I discovered it many years ago and later ordered a Past Life reading. I am quite happy with the results as they leave me pondering the resonances I have carried over from past lives and I have high hopes for healing any negativity they may cause in my relationships and present life. I must add, I have a lot of respect for the healer herself, Ellen, who puts things in such a way that I can easily understand them and empathize on a level that brings more awareness to situations outside of my own. May all be blessed in love and life and light. I was in a place where I was praying for more help. I was "stuck" in my progress and was seeking past life/higher self therapy. I am a very intelligent individual. I require to "know" in order to heal myself. The angels directed me here. Learning about this website and Ellen has really changed my life. Everyone should realize what a blessing all this information is. Thank you so much. This website is impressive. You have worked so hard for our individual and collective good. Ellen, you and your helpers are angels. You have saved me. Thank you. I visit your website from time to time. In the very beginning of my spiritual growth, I found certain articles helpful, despite not having a background in what appeared to be "new-aged" information. Now since I am more mature in my walk with the Divine, I have a greater understanding of certain articles on your website. I thank you for being a "medium" of information between the two worlds (Spirit and Physical). My friend and I were just reading the article on spiritual laziness. We found it to be quite entertaining and TRUE!!! Being entreprenurs, we have run across more than our fair share of "spiritually lazy" people. Be at peace sister Ellen and thank you for your time, effort, and work. I have visited this site for a long time. I landed on here in search of a saying a deceased friend would sometimes quote: "There is a destiny that makes us brothers, no one goes their way alone, all that we send into the lives of others comes back into our own." I love this saying. Great site I will be visting it again and passing the word. Live well & prosper. Most people are sceptical of the meaning of birth marks. My friends didn't believe me untill I met someone and touched their birth mark and cried. I then told them where it had come from. Still not believing me we went to a well known (in our area) spiritual healer. She told the same story. I am very impressed with this web-site. I am not a newbie at past life stuff, I have always believed in it, and now more than ever. That it is all in one place which makes it super! I have printed out several rules and posted them around my house. I have sent copies to people I think will benefit from them... Thank you for such a great site! A web site full of informative details for seekers. A site where the research is profound and clear. A guide to cosmic truths and (if followed) advice which will turn around troubled hearts and spirits. I thank you from the depths of my heart for this site. I have spent my entire day today here, absorbing this enlightening information. I have regained my faith in the one beautiful song of the universe today. Thanks to God and to you. I kept seeing something in my dream state that is from my past life... like something is unfinshed. I was trying to understand it but it seemed so far away. 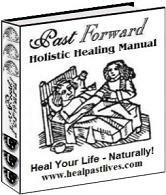 So I will try your past life healing exercises! I have finally found what I was looking for in my spiritual search after a bout with cancer. Thank you very much for your help! I have been interested in reincarnation and past lives. I'm pleased I found your website I have spent many hours reading what interested me. Thank you. This is a splendid site full of valuable truths about life. Keep up the good work! Visited your site, will bookmark it and come back. This is really an interesting site. Hugs from Angel! You have created a very interesting and informative site, and I appreciate all of the work you have done. I've gotten good insights from your suggestions. Thanks for a really informative site. Love to read it. Thank you! You have much healing work to do! Great site, and excellent information!